The process of researching and collecting Hollywood and movie-related addresses and historical information often a painstaking process of pouring through old census, voting records, studio archives, and public records. It’s actually kind of a sickness which is not really explainable even to myself. But the places where people lived and what went on at an address is part of what makes Hollywood and the movies so interesting. It’s fascinating that you can walk down any block in or near Hollywood and come across some part, however small, or history. We’ve uncovered litereally tens of thousands of previously-unrecorded addresses and it continues to be fun to find the proverbial diamond in the rough. I spent some time this morning looking through some 1926 California voter registration records and today’s haul is a good example of what one finds doing this seemingly silly work. Some names are well-known and some maybe vaguely familiar but many are barely recognizable to someone with film history background. But that’s what’s interesting about the work. There are stories literally everywhere, the ones today taking place in Hollywood near Beachwood Canyon. Many of the 250 names I found today have been totally forgotten. There are dozens of people who filled out voter registration forms and listed their occupation as “actor” or “photoplayer” who don’t have a single credit anywhere, names like Patsy O’Byrne who lived in the rear of 1443½ N. Bronson and Lu Cille Hutton, who was in an apartment at 6118 Carlos Ave. Victor Presbrey, who lived at 2034 Holly Drive, described himself as a “technician.” He has a single credit to show for decades of work in the movies, listed as a “laboratory technician” for the 1926 Blanche Sweet film Why Women Love. One mention to show for an entire career. To me, equally interesting are the many names, as forgotten as Victor Presbrey, who were known the world over while they lived. Enos Canutt lived in a large house at 1818 Whitley Avenue just below Whitley Heights and listed his occupation as “cowboy – exhibitions.” But as Yakima Canutt was the most famous stuntmen in the history of the movies, appearing in over 500+ films. He appeared in several hundred more but was not credited because so many actors didn’t want people to think they didn’t do their own stunts. Canutt’s stunts remain the benchmark for stuntwork from the first 50 years of film but he is still only remembered by movie historians even though he set the standard for movie stuntwork that has never been met again. George Chesebro lived in an apartment at 6363 Yucca and appeared in 450+ films during a 40-year career. Ernie Adams owned a large bungalow at 527 Lafayette Park Place and from 1919 to 1947 appeared in 400+ films. Among them were some of the most famous ever made, appearing in character roles like Ed in It’s a Wonderful Life, the bank customer who took $20 rather than breaking the bank. Like Chesebro and Adams, Eddie Hearn, who lived in an apartment at 4427 Russell Avenue, appeared in over 400 films from 1915 to the 1950’s. But for all their success and fame during their careers they are as forgotten as Lu Cille Hutton and Victor Presbrey. There are also anonymous names who were part of the big events in Hollywood history. Studio executive Charles Eyton lived at 1920 Vine with his actress wife Kathlyn Williams. Eyton had a long career behind the scenes and Williams a solid acting career, but Eyton is remembered by movie historians as the man that Paramount sent to director William Desmond Taylor’s Hollywood apartment the morning the studio learned Taylor had been murdered. Paramount executives assumed that Taylor was likely killed by Charlotte Shelby, the mother of their biggest juvenile star Mary Miles Minter, and sent Eyton there to make sure nothing embarrassing leaked out. Eyton walked out of the house with an armful of papers tying Taylor to Minter, after burning a large pile in the fireplace – while police examined Taylor’s body 10 feet away! Not too far away from Eyton, two cowboys from Minnesota – brothers Frank and Carl Stockdale – shared a house at 6325 Fountain Avenue and listed themselves as “photoplayers.” Frank only appeared in a few dozen films but Carl had roles in over 300, almost all westerns. But Carl was also part of the Taylor murder case. He was friendly with Mary Miles Minter’s mother Charlotte and told police he was with Charlotte the night Taylor was shot, but it was later proven that he was not, and she remains the chief suspect in the unsolved murder mystery. One of the most interesting finds today was a listing for “theatrical” William C. Gable, who lived in a large house at 5832 Carlton Way with his wife, a “teacher” named Josephine. The 22-year-old actor met Josephine Dillon after he joined a Portland, Oregon theater troupe the matronly 40 year-old woman managed. When he realized how “helpful” she could be to his career he dumped his fiancé back home and moved to L.A. in 1923. But by the he registered to vote in 1926, William Gable had only appeared in a dozen films, with roles like “ballroom dancing extra” or “soldier in Czarina’s guard.” Casting directors didn’t know what to do with the gangly actor with the huge ears and bad teeth; discouraged, he left Hollywood and returned to regional theater. Several years later he discarded Dillon for yet another wealthy – and equally matronly – older woman he met at a Houston playhouse. She paid for his new teeth and brought him back to Hollywood, where he leapt into the public eye in a small role in his second film, Painted Desert, in 1931. His first real role made Clark Gable a household name and within a year he was co-starring opposite Greta Garbo and Jean Harlow. The Gable story is an interesting one but equally interesting is the fact that, with everything written about Gable over the years and all the research about him and his life, the 5832 Carlton Way address has never shown up before, anywhere. That’s understandably probably not that exciting to most people but to those of us interested in movie history, it’s a wonderful find. Doesn’t make the work any more sane, though. We get questions about Palm Springs as well as Hollywood so I thought I’d suggest a tour of Palm Springs. One of our blog pals is actually poking around Palm Springs this weekend. During the 1930’s Palm Springs was an oasis for the movie community and continued to be such into the 1950’s. Big stars from Garbo to Sinatra either purchased or rented houses there where they could escape the media spotlight in L.A. Over the years though, Palm Springs itself has grown a bit “tired” versus the gorgeous areas further east like Palm Desert and Rancho Mirage. I heartily suggest visiting Palm Desert’s El Paseo, a mile-long stretch of great restaurants, shops, etc. that runs just two blocks south of, and parallel to, Rte. 111 (the main drag through the Coachella Valley). Anyway, you can take a wonderful Palm Springs tour beginning in the neighborhood around that backs up to the mountains just south of the Palm Canyon Drive/Rte. 111 split west of the airport. The streets west of Palm Canyon that back up to the mountains (north of O’Donnell Golf Club) was referred to as “The Movie Colony” for its many Hollywood residents. That neighborhood is chock full of Hollywood names. Jack Warner’s house was at 285 Via Lola and a few blocks north Donna Reed owned a gorgeous home at 1184 Camino Marisol from 1966-1970. Howard Hughes was at 335 Camino Del Norte; next door at 323 was Alan Ladd & Sue Carol’s long-time home where he died in 1968. Mary Martin owned the house on the other side of Hughes. A few blocks away at 252 Camino Sur, Cher bought a house in 2004 and rehabbed it and sold it last year (listed at $2,500,000 it finally sold for $1,900,000) and at 893 Camino Sur is a house that belonged to George Nader. Nader was an actor that the studios “gave up” instead of Rock Hudson when a 1950’s movie magazine was going to “out” Hudson. They outed Nader instead. Elvis Presley’s 845 Chino Canyon house is in the same neighborhood. A few blocks from Elvis, Bette Davis rented a guest house at an estate called Villa Santa Lucia at 784 N Patencio Road, which sold for $4,800,000 last year. She rented it for years. John Phillips of the Mamas & the Papas had a big house up the hill at 695 W Stevens Road at the north end of the neighborhood. Liberace died at 226 W Alejo Road in the southern end of the neighborhood near the golf course. His house, called Casa de Cloisters, is also listed at 501 N Belardo and has the weird statues in front that he habitually placed around all his houses, and over his grave at Forest Lawn. Frank Sinatra’s famous estate was on the other side of Palm Canyon at 1148 E Alejo. Marilyn Monroe slept in a special tower bedroom he kept for her and Sinatra once threw then-wife Ava Gardner’s possessions onto the driveway after she appeared at the house in an attempt to catch him with Lana Turner. Just north of the neighborhood William Powell had a home at 383 N Via Norte for 30 years years; he died there in 1984. His wife was actress Diane Lewis. Outside the neighborhood and not too far from Via Lola at 1476 North Palm Canyon is a house Hoot Gibson built in 1936 and owned into the early 1940’s. It was later owned by Mario Lanza in the 1940s and Groucho Marx in the 1940s-1950s. Just on the other (east) side of North Palm Canyon and Indian Canyon Drives are a bunch of interesting houses in the neighboods around the big hospital (I think it’s a hospital, as I remember). Darryl Zanuck and Virginia Fox owned a house during the 1950’s-1950’s at 346 Tamarisk Road. Zanuck died there. David O. Selznick and Jennifer Jones’ rented a house at 796 Via Miraleste from 1954 through the 1960’s. A few blocks away Charlie Farrell and Virginia Valli lived at 630 Techavah Drive, and Eddie Cantor owned a home at 720 E Paseo el Mirador from 1951-1962. Truman Capote was at 853 Paseo el Mirador from the 1960’s-1970’s. Maybe five blocks to the east Carmen Miranda build herself a bungalow – back then quite secluded – at 1285 E Verbena Drive. Not it’s obviously packed around there. North of the Movie Colony streets by Racquet Club and Palm Canyon, Greta Garbo kept a secret hideaway at 287 W Racquet Club and on the other side of Palm Canyon at 1250 E Racquet Club (past Victoria Park) was Jackie Coogan’s last house. A little northwest of that intersection at 2481 N Cardillo, Tom Neal murdered his wife on April 2, 1965. A ways south of the Movie Colony near Indian Canyon golf club Johnny Mercer had a beautiful big estate at 282 Camino Carmelita that sold last year for like $5,000,000. About a half mile away Barry Manilow (who was a close friend of Mercer; Mercer’s daughter’s name was Mandy) has a huge place at 2196 S Camino Baranca. Harrison Price, who was a friend of Walt Disney’s and chose the sites for Disneyland and Disneyworld and coordinated all of the real estate deals for Disney, lived at 275 W Camino Buena Vista in the same area and big agent Louis Hayward lived near him at 235 W El Portal. Ginny Simms lived east of there near Indian Canyon golf course at 1578 E Murray Canyon. Just east of that area, the main drag of South Palm Canyon turns east toward the airport. At 1400 E Palm Canyon Leo Durocher had a house at 1400 that he owned in the 1960’s. Gene Autry built the Ocotillo Lodge at 1111 E Palm Canyon in the mid-1950’s, allegedly with the ‘help’ of Sidney Korshak, who bought one of the condos a few years later. Further south and east of there on the way toward Palm Desert (near where Gene Autry Trail runs into Rte. 111) is a street running up the mountain called Southridge Drive. Steve McQueen lived at 2203 Southridge Drive and at the very top of Southridge Drive nestled among the hills is a huge, weird round thing designed in 1979 by John Lautner for Bob Hope, who lived there until he died. You can see the Hope House from everywhere in the valley, seemingly. We spend an inordinate amount of time looking at and appreciating maps. We thought we were pretty cool having The Movieland Directory pass addresses to not just one, but all of the big three mapping sites: Google, Yahoo, and (our favorite) Virtual Earth. Well, the designer at flashearth.com has gone us one better. Actually, several better. Very clever site, worth a visit. And, be sure to make it to developer and host Paul Neave’s site, if for no other reason than to play with this little mind-altering diversion: neave imagination. And some other fun stuff. 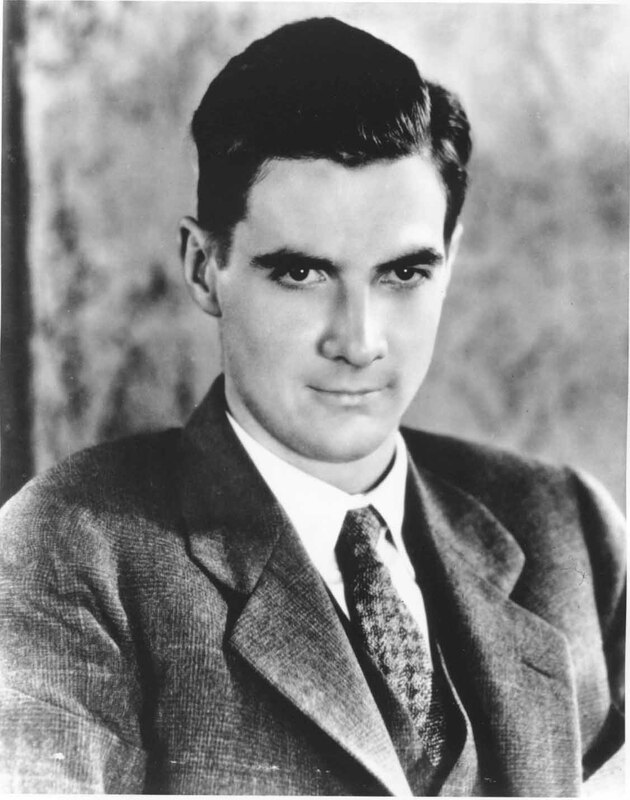 And speaking of Howard Hughes, I was noodling around and came across this picture…in case you forgot what the wild man looked like when he was young, rich, brilliant, and trolling for starlets. I would attribute the file, but I don’t recall where I got it. I’ll check with EJ. You are currently browsing the The Movieland Directory blog archives for April, 2008.